The Chicago Red Stars earned a much-needed win at home in Toyota Park, thanks in large part to the defensive and offensive contributions of Julie Ertz. Ertz provided the game-winning goal in the 84th minute, thanks to her header off forward Yuki Nagasato‘s ball in front. Nagasato had a goal of her own in the 52nd minute for the second half comeback against the league-leaders North Carolina Courage. Forwards Jessica McDonald and Lynn Williams linked up for the Courage’s opening goal in the 15th minute. Ertz and Nagasato linked up for the game-winner, as Ertz redirected Nagasato’s ball in to the box past Courage goalkeeper Katelyn Rowland. The Red Stars scored two goals on only three shots on goal for the match. The Courage owned possession in the match with 56.2% overall, and also outshot the Red Stars 21-7. Ertz also received a yellow card during the rather physical match, and North Carolina midfielder McCall Zerboni finally picked up her fifth yellow card of the season after being one card away from the automatic suspension since June 3. Midfielder Morgan Brian made her debut for the Red Stars following the trade made late last month between Chicago and the Houston Dash. Match ends, Chicago Red Stars 2, North Carolina Courage 1. Second Half ends, Chicago Red Stars 2, North Carolina Courage 1. Attempt missed. Lynn Williams (North Carolina Courage) right footed shot from outside the box is too high. Assisted by Ashley Hatch. Goal! Chicago Red Stars 2, North Carolina Courage 1. Julie Ertz (Chicago Red Stars) header from very close range to the top left corner. Assisted by Yuki Nagasato with a cross. Attempt blocked. Lynn Williams (North Carolina Courage) right footed shot from outside the box is blocked. Assisted by Abby Erceg. Attempt blocked. Debinha (North Carolina Courage) right footed shot from outside the box is blocked. Assisted by Samantha Mewis. Attempt blocked. Lynn Williams (North Carolina Courage) right footed shot from long range on the left is blocked. Attempt saved. Sofia Huerta (Chicago Red Stars) left footed shot from outside the box is saved in the centre of the goal. Substitution, North Carolina Courage. Debinha replaces Denise O'Sullivan. Attempt blocked. Ashley Hatch (North Carolina Courage) right footed shot from the centre of the box is blocked. Assisted by Lynn Williams. McCall Zerboni (North Carolina Courage) is shown the yellow card for a bad foul. Corner, North Carolina Courage. Conceded by Samantha Johnson. Attempt blocked. Kristen Hamilton (North Carolina Courage) left footed shot from the left side of the box is blocked. Corner, North Carolina Courage. Conceded by Arin Gilliland. Substitution, Chicago Red Stars. Morgan Brian replaces Taylor Comeau. Attempt saved. Denise O'Sullivan (North Carolina Courage) right footed shot from outside the box is saved in the centre of the goal. Assisted by Jessica McDonald. Offside, Chicago Red Stars. Sofia Huerta tries a through ball, but Yuki Nagasato is caught offside. Attempt missed. Lynn Williams (North Carolina Courage) right footed shot from outside the box misses to the left. Assisted by Abby Erceg following a fast break. Yuki Nagasato (Chicago Red Stars) wins a free kick in the attacking half. Attempt missed. Christen Press (Chicago Red Stars) left footed shot from long range on the left is close, but misses to the left. Assisted by Alyssa Naeher. Taylor Smith (North Carolina Courage) wins a free kick in the attacking half. Goal! 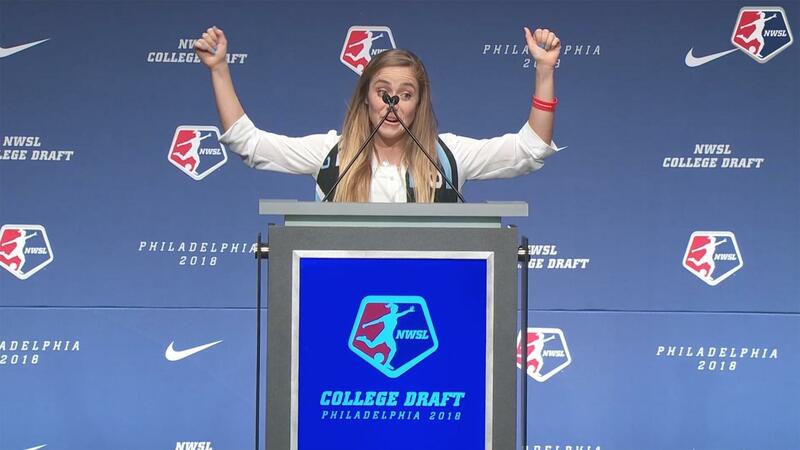 Chicago Red Stars 1, North Carolina Courage 1. 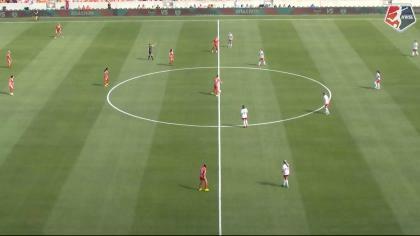 Yuki Nagasato (Chicago Red Stars) left footed shot from the centre of the box to the bottom left corner. Assisted by Christen Press. Attempt missed. Kristen Hamilton (North Carolina Courage) header from the centre of the box is close, but misses to the left. Assisted by Samantha Mewis with a headed pass following a corner. Kristen Hamilton (North Carolina Courage) wins a free kick in the attacking half. Second Half begins Chicago Red Stars 0, North Carolina Courage 1. Substitution, Chicago Red Stars. Yuki Nagasato replaces Alyssa Mautz. First Half ends, Chicago Red Stars 0, North Carolina Courage 1. Attempt blocked. Christen Press (Chicago Red Stars) right footed shot from the centre of the box is blocked. Attempt blocked. Arin Gilliland (Chicago Red Stars) right footed shot from outside the box is blocked. Assisted by Sofia Huerta. Attempt missed. Kristen Hamilton (North Carolina Courage) left footed shot from the centre of the box is just a bit too high following a corner. Attempt blocked. Kristen Hamilton (North Carolina Courage) left footed shot from the centre of the box is blocked. Corner, North Carolina Courage. Conceded by Alyssa Naeher. Attempt saved. Kristen Hamilton (North Carolina Courage) right footed shot from a difficult angle on the left is saved in the bottom left corner. Assisted by Jaelene Hinkle with a cross. Danielle Colaprico (Chicago Red Stars) is shown the yellow card for a bad foul. Attempt blocked. Taylor Smith (North Carolina Courage) right footed shot from outside the box is blocked. Corner, North Carolina Courage. Conceded by Taylor Comeau. Corner, North Carolina Courage. Conceded by Katie Naughton. Attempt blocked. Denise O'Sullivan (North Carolina Courage) right footed shot from the left side of the box is blocked. Assisted by Jaelene Hinkle. Samantha Mewis (North Carolina Courage) wins a free kick in the attacking half. Offside, North Carolina Courage. Kristen Hamilton tries a through ball, but Lynn Williams is caught offside. Attempt missed. Christen Press (Chicago Red Stars) right footed shot from outside the box is close, but misses the top right corner. Foul by Abby Dahlkemper (North Carolina Courage). Attempt blocked. Lynn Williams (North Carolina Courage) left footed shot from the left side of the box is blocked. Assisted by Kristen Hamilton. Goal! Chicago Red Stars 0, North Carolina Courage 1. Lynn Williams (North Carolina Courage) right footed shot from the right side of the box to the bottom left corner. Assisted by Jessica McDonald. Attempt saved. Jessica McDonald (North Carolina Courage) left footed shot from the left side of the box is saved in the bottom left corner. Assisted by Denise O'Sullivan. Offside, Chicago Red Stars. Taylor Comeau tries a through ball, but Sofia Huerta is caught offside. Kristen Hamilton (North Carolina Courage) wins a free kick in the defensive half. Attempt blocked. Kristen Hamilton (North Carolina Courage) right footed shot from outside the box is blocked. Assisted by Denise O'Sullivan.